Believe it or not, Miami’s most trusted roofer was once a young man, sporting rayon and a sweet fanny pack as he went about his business eagerly putting roofs over the heads of fellow Floridians. One hot day his pager went off with an urgent message to call the office. The events that transpired from that call were troubling. We learned about the tragic story of Ana Alicia Fernandez, who was severely and permanently injured at just 6 years old, by a drunken boater that slammed into her family’s vessel. Due to the ensuing strain this had put on her family, a call came in from the community wanting to help. We joined this crusade with other professionals and neighbors who did what they could to help this family in their time of need. Two decades later, a seasoned and much wiser roofer is sporting a blue-tooth ear piece under the shade of his fedora. This time, the message comes via text to call the office ASAP. Most of our clients plan to have us visit and work on their homes, but sometimes life doesn’t go as you planned. At first, the call seem like a “normal” roofing emergency, but in fact, it was a call for an emergency repair at a private home with a badly leaking roof. We are always ready to get to work when the signal goes up so, To the Istueta Mobile! (Pardon our funny humor). Upon arrival I was introduced to the homeowner and everything clicked at once. This was Alicia Fernandez, the devoted mother of Ana, and I had helped repair this same home many years ago. Alicia is an amazing woman, but she is not a roofer. When her home recently needed some help, she hired someone else to do the work. The “so-called roofer” did a poor job and now the roof was severely leaking. Even worse, the villain refused to come back to fix his mistakes, hosing her out of a much-needed $5,000. The way I see it, Ms. Fernandez has already paid for a repaired roof, so I was going to make sure she got one. Ana and Alicia have enough on their plate and dealing with a shady contractor was the last thing they needed. So, the work began and before long a new roof was complete. But, a new roof is only the beginning. 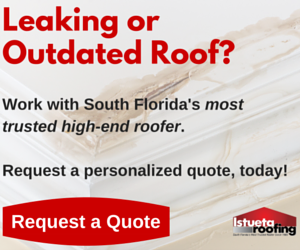 We want to help the Fernandez family with more than just their roof. That’s why we have set up a GoFundMe page to help cover the cost of Ana’s medical bills. For those who would like to help, visit the GoFundMe account and donate. Every little bit helps and all donations are going to help Ana’s family out. I truly believe there exists some sort of balance or cosmic justice in the universe. You will reap what you sow, as the old saying goes. While, at times, we may face great difficulties in life, most of us want good for one another and are willing to help shoulder a burden when it becomes too great. We live in a great community. On the outside, we may look a little different or speak a different language, but on the inside, we are all part of an extended family trying to make it in this world and live better lives. As a community, we want what is best for our friends, families, and our neighbors. Alicia and Ana, you are not alone. Your community is here.